Dream Flows provides the graphics for the water levels below. To view where they get the data from, click here. 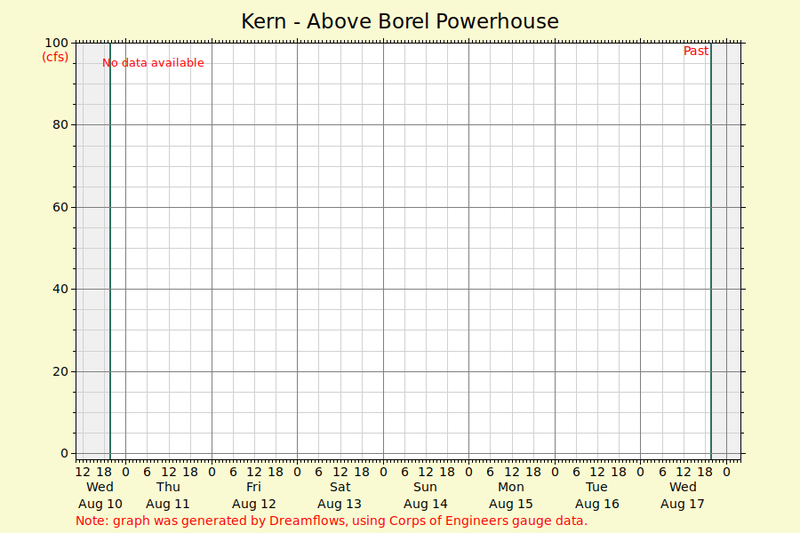 The Army Corp of Engineers provides the data for water flows found here. 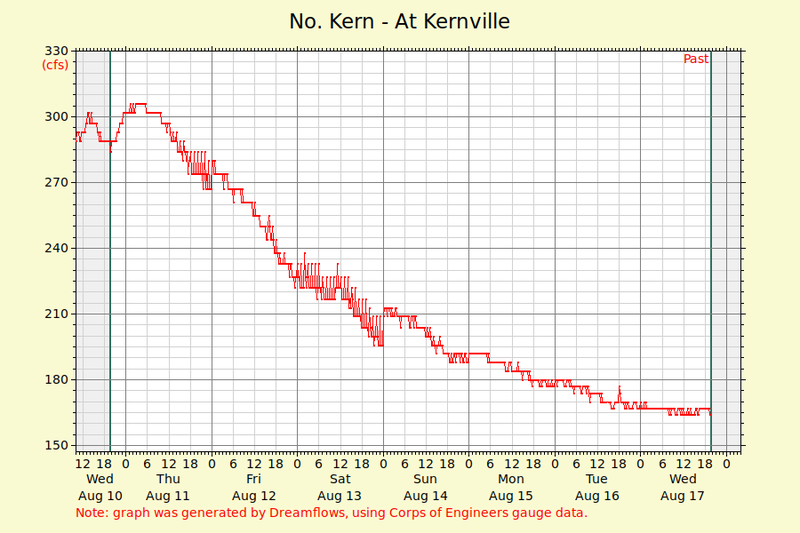 The furthest column to the right “NF Kern @Kernville Flow (CFS)” is the Upper Kern. The fifth column to the right labeled “Outflow (cfs)” is the Lower Kern water flows. Example below.